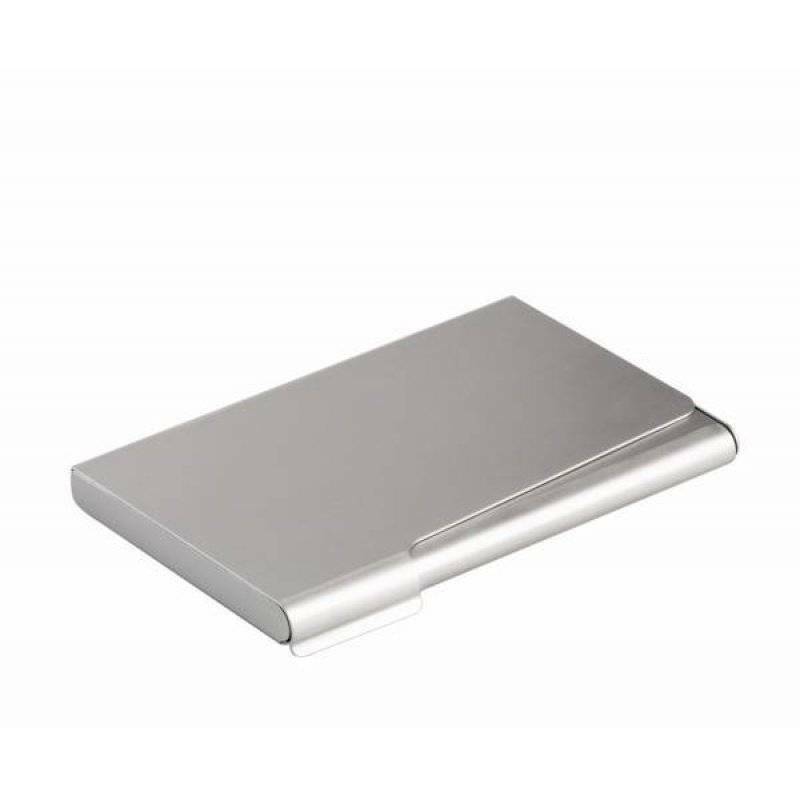 Elegant aluminium case for business cards with a mat silver exterior. 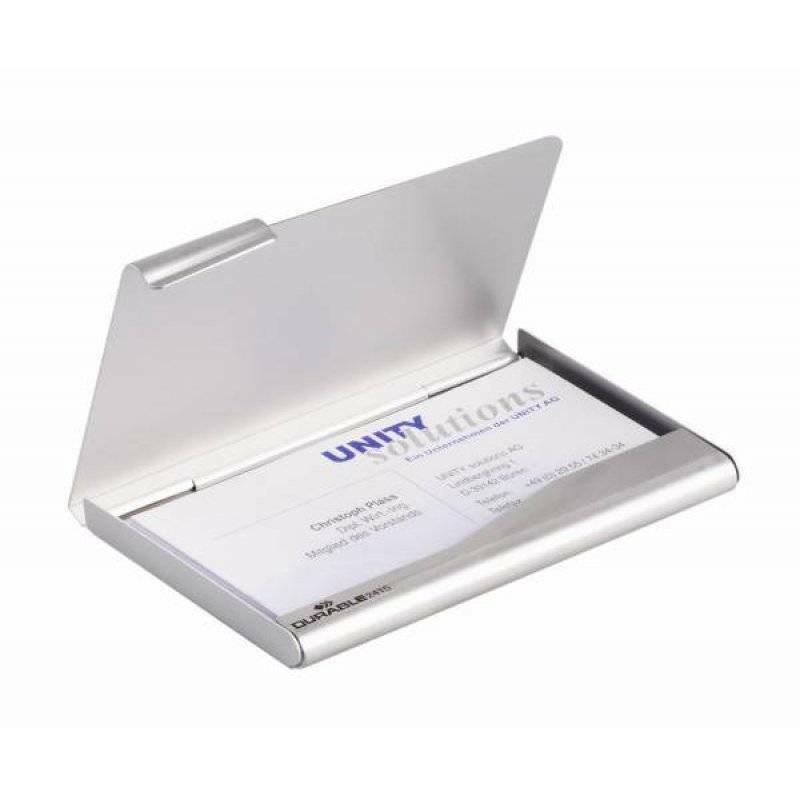 Stores and protects business cards. Inside dimensions 90x55 mm. 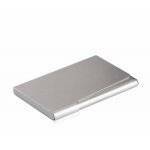 Holds 20 business cards.